The industry-standard appraisal report for single-family residential properties. 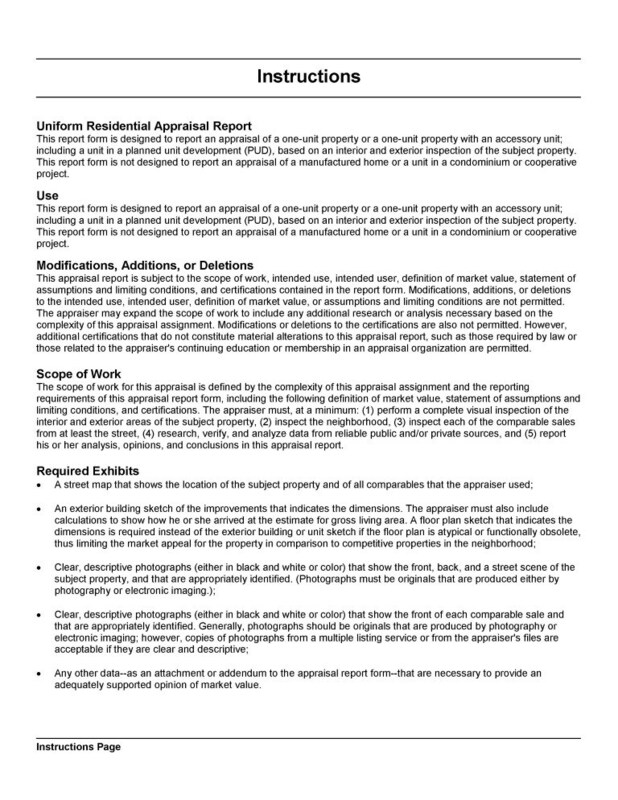 What is a Uniform Residential Appraisal Report (URAR 1004)? This is the industry-standard appraisal report type for single-family properties. 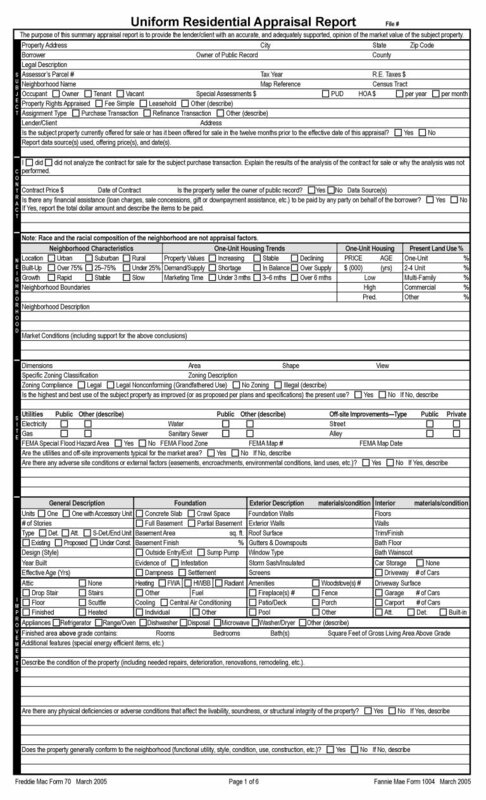 It is the most commonly used report format for single-family appraisals. This report is for a one-unit property or one-unit property with an accessory unit. This includes a unit in a planned development. The form is not for land, manufactured homes or condominium units. A full interior and exterior inspection of the subject property is made by the appraiser for this report type. An inspection made by an appraiser is not the same as a "home inspection" made by a property inspector. 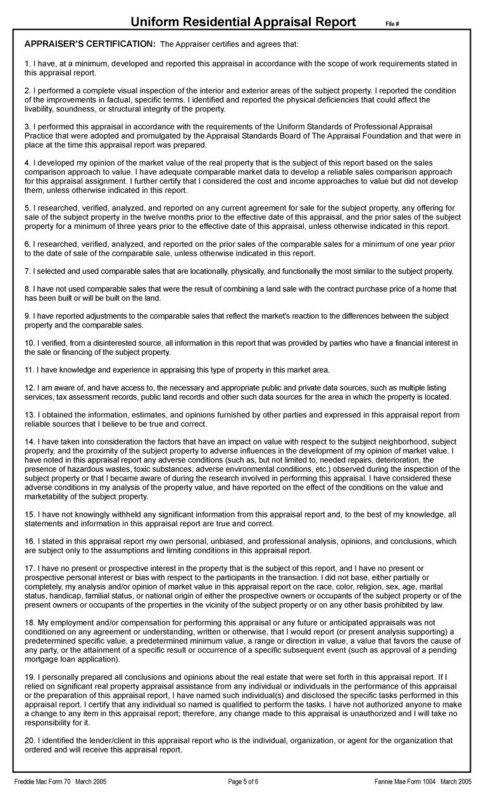 Comparable sales may or may not be inspected from the street by the appraiser, depending on the assignment parameters. Easy to compare to other appraisals. Cheaper than a narrative appraisal report. Full interior inspection and analysis. Can be difficult for multiple parcels or properties with a lot of land or other unique features. 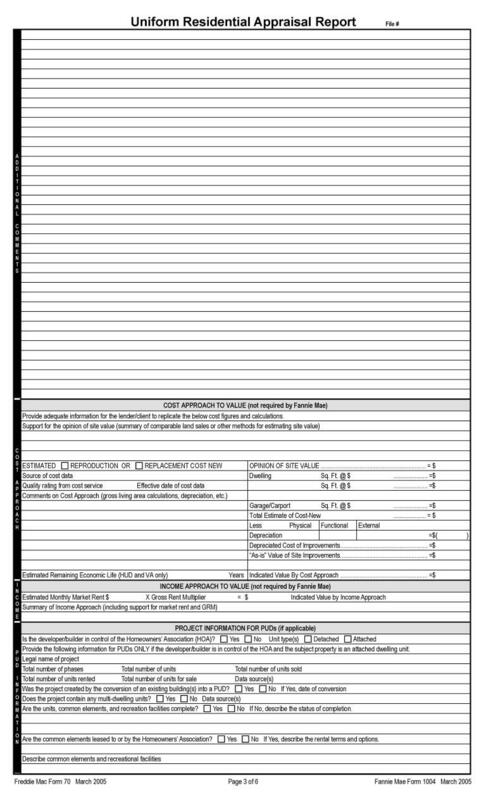 The Uniform Residential Appraisal Report is a "form" format meaning that is it has pre-defined sections. It was developed by lending institutions for a standardized look and feel. 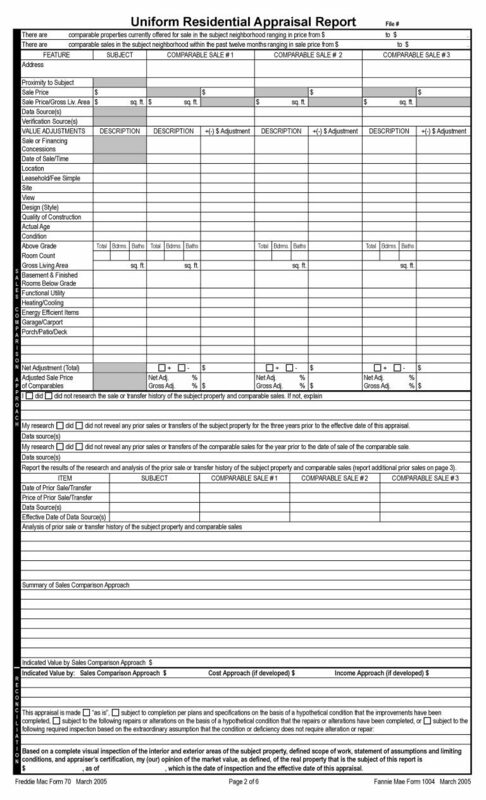 Appraisers fill out the form and insert data about the subject, neighborhood, comparable sales, valuation and more. 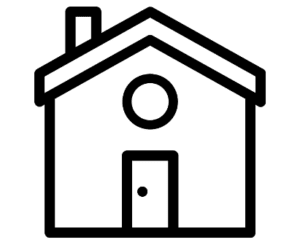 Appraisers include additional data not part of the form such as pictures, maps, valuation analyses and more, depending on the property and assignment. 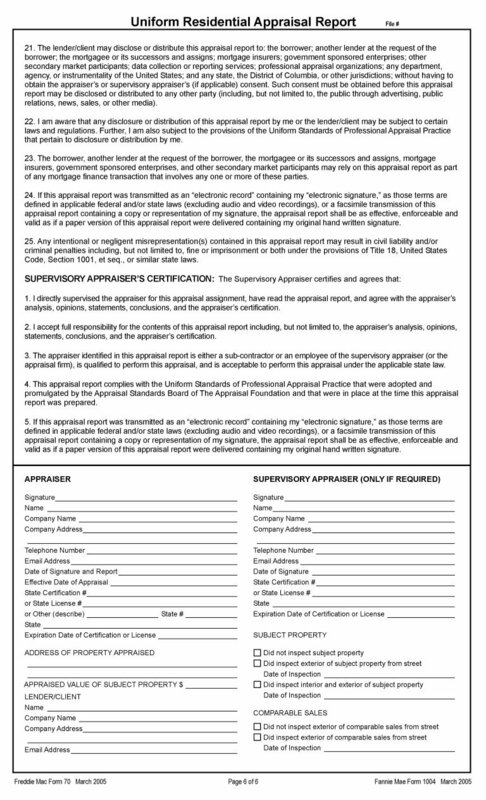 Most appraisers use software such as A La Mode, ClickFORMS, ACI, etc. to speed up the process of filling out sections of the form and assisting in the valuation. This report type is best for practically all uses. Can be difficult to read and make sense of if you are not used to seeing them. We are Denver's top appraisal company because we produce high quality appraisals, are easy to work with and provide quick turn-around times. We have experienced, certified, qualified appraisers ready to meet whatever your needs are. Scroll through the below images for the main content of the form. 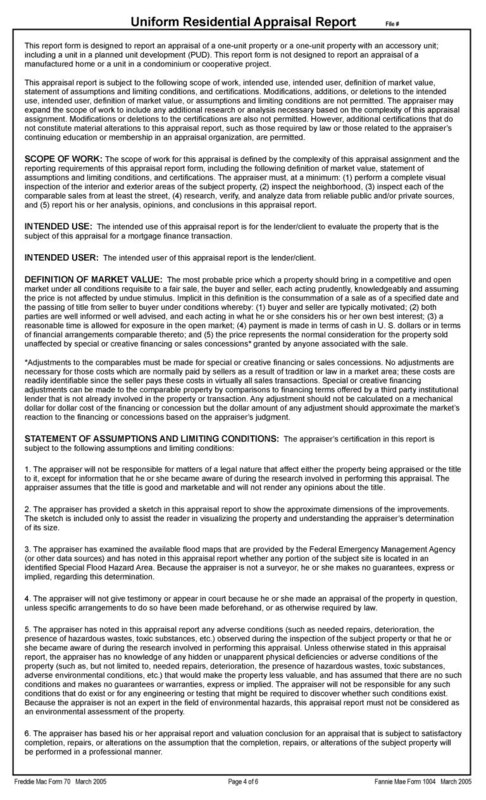 There are other elements of the appraisal not included below, such as a cover page (if used), letter of transmittal (if used), subject and comparable sales pictures, maps, additional valuation explanations, addenda, market conditions analyses, and more.